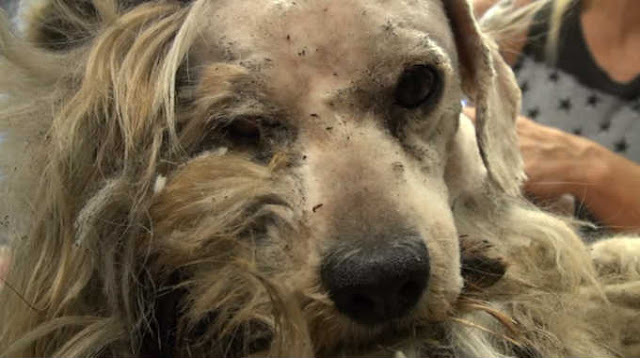 Hope For Paws received a call about Benji, a homeless dog who had lived his whole life on the streets. They knew they had their work cut out for them, when they saw him. He was terrified to be touched and was covered with the worst matting Eldad Hagar had ever seen and fleas were crawling all over him. Wait until you see Benji’s transformation when all his fur is shaved away and he’s exposed to human contact for the first time! Share Benji’s rescue with your friends and help him find a home!